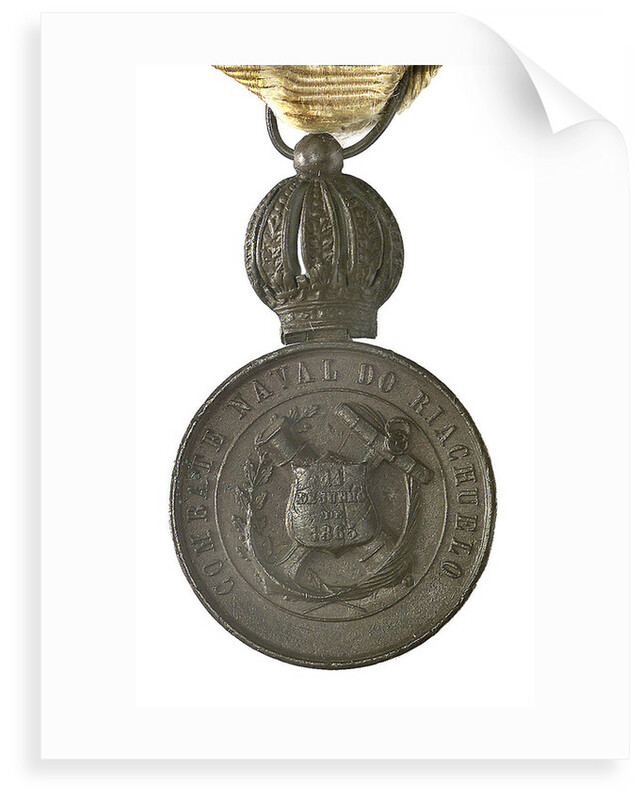 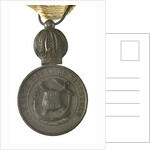 Medal commemorating the Battle of Riachuelo, 1865. 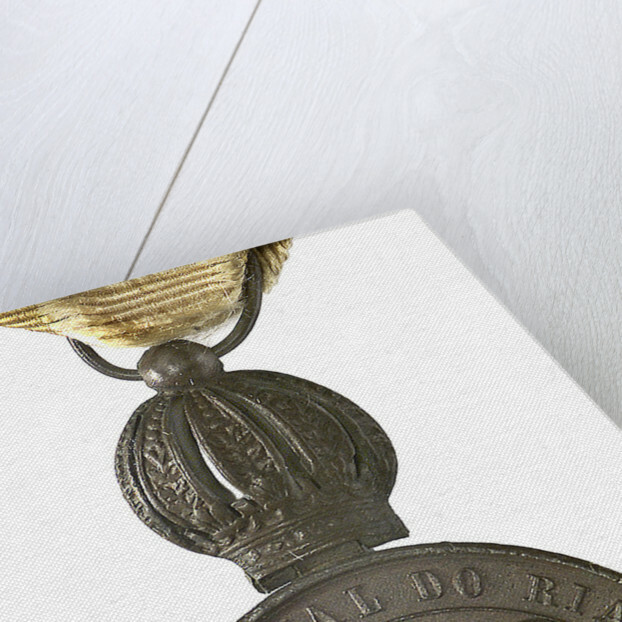 Obverse: Head of the Emperor Don Pedro II within a semi-circular crossed sprays of laurel and lilly tied with a knot. 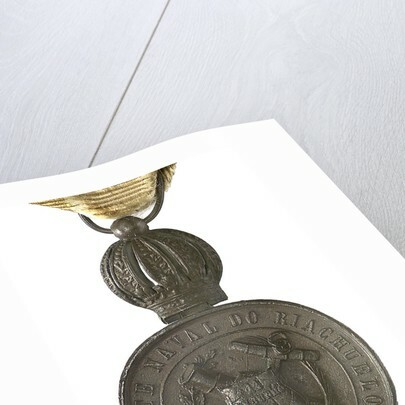 Reverse: A shield inscribed 11 June 1865 on an anchor and cannon crossed, decorated with palm and oak sprays.